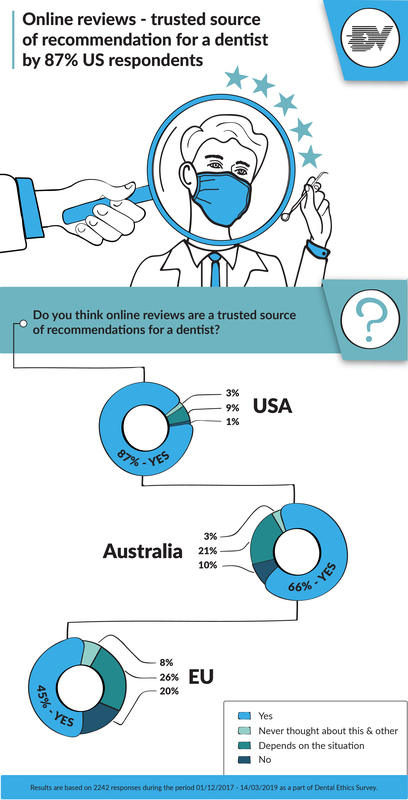 More and more dental practices rely on online reviews as a tool for word-of-mouth recommendations by patients. Generally the experience and satisfaction of patients shared on various online platforms can impact the decision of potential patients which dentist to visit. In view of this growing influence of online reviews, we aimed to explore how trustworthy they are considered by people from different regions. Find a snapshot of our findings in the infographic below.